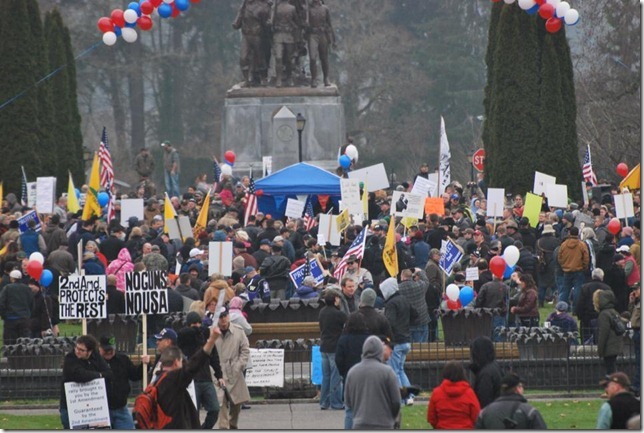 So yesterday a bunch of people showed up at the Washington State Capital in Olympia. Most news papers I’ve seen put estimates at around 1,500 people, the Seattle times is estimating under 1,000, some however have reported 2,000. So take the estimates for what you’d like. Given the cold and weather I’d say this was a significant turn out. 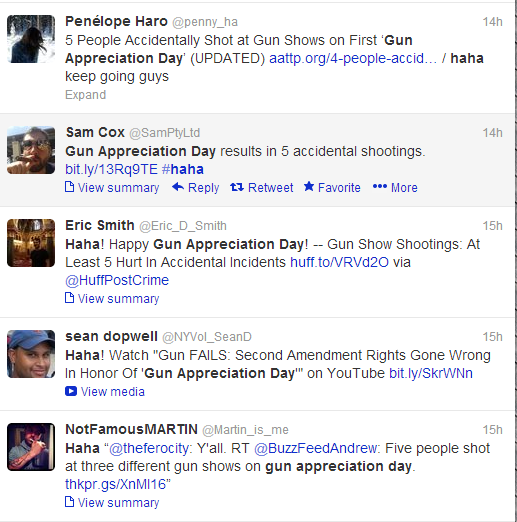 Doubly so since other major gun related events were going on yesterday and were packed as well. The WAC show in Puyallup was packed, and put to me as “nuts”, and it appears that today is equivalent to a normal Saturday. Considering Sundays are usually much more lax than Saturdays, the WAC show is busy. There were rallies in 49 of the state capitals yesterday along with massive gun shows going on as well. Hopefully everyone in attendance has taken the time to write their legislators as well. Also as a side note, a few at gun shows did something stupid and resulted in injuries due to a failure to observe the 4 rules. Remember folks, right now we’re under a magnifying glass and the best way to describe these incidents as, “Not Helping”. Never fear though because our opponents, ever ghoulish, were dancing in blood on twitter. There were 3 different incidents with 5 injuries. One was a case of induced touching where he was reloading his carry piece after going through the gun show. Some how he put a round through his hand. 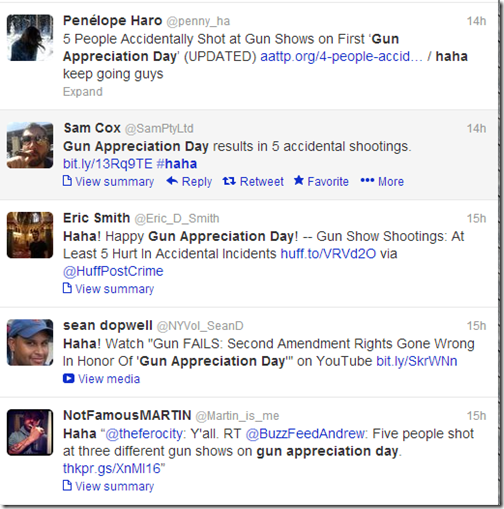 The biggest single incident was Raleigh where an idiot didn’t unload his shotgun he was intending to sell at home. When showing clear at the table it discharged striking 2 people with shot and injuring the hand of person checking the weapon. The last one from Ohio was done by a vendor and some how the weapon went off by opening the box. Yeah I don’t believe that story either. Please folks, use some brains, this is not the time to cause more negative attention for us. Well see what matters is it wasn’t their type of people getting hurt. Just the same I’m sure they would have no problem if the government tried to cart us off to camps tomorrow in the effort for a final solution. It’s not them they’re coming for right?